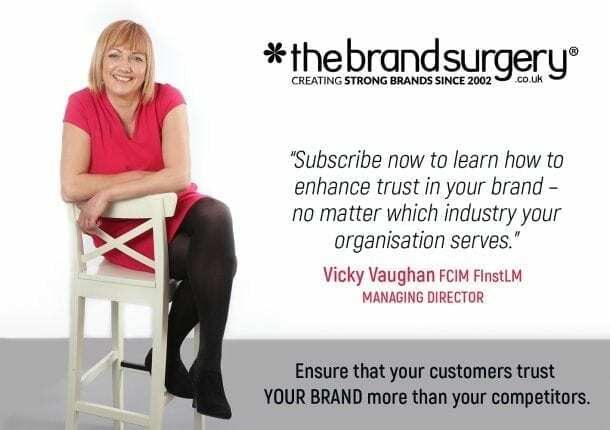 During our time with The Brand Surgery, we have developed a good working relationship with Vicky who has quickly understood our needs. Her friendly and can-do attitude has made me feel completely at ease and that we are in capable hands. These consultations have been invaluable, leaving us feeling empowered and confident to put her advice into action, despite us not having a technical background! 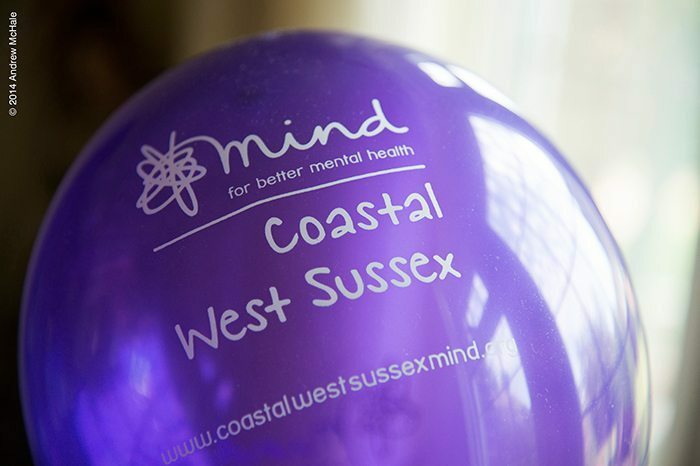 Coastal West Sussex Mind is a charity merger formed of Worthing and Arun Mind and Chichester Mind. Like all registered charities, it must demonstrate that it spends funders money wisely. Therefore, the charity requested our creative design services at our special charity design rate. 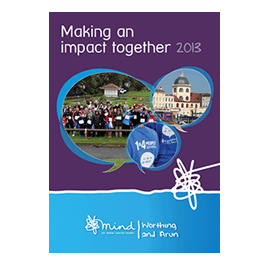 We have been working with Coastal West Sussex Mind pre-merger and post-merger designing impact reports since 2012 through to now. We have also designed charity event marketing and sat with our client on a marketing consultancy basis sharing ideas for fundraising and promoting events. The National Mind Corporate Branding Guidelines have become stricter over the years and you will notice that the impact reports through the years have changed colour. All of the colours are contained within the guidelines, however, in the last year or two, the focus is now on blue and white with a secondary colour of yellow. Purple is now an accent colour. The purpose of this project is to showcase the wide variety of creative design we can offer even when following corporate guidelines. The Coastal West Sussex Mind website has recently undergone a refresh, updating an existing 2012 website in the new colours to save money, rather than building a brand new website.